Welcome to Honda Civic manuals site. 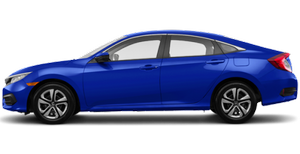 Since its launch in 1973, the Honda Civic has been one of the most popular compact cars sold in America. Its success can be attributed in large part to its consistently high level of quality inside and out and its long-standing reputation for reliability and low running costs. Impressive fuel economy and engaging performance have also played a role in making the Civic a top choice for many Americans. The competition has largely caught up with Honda, though, and there are now many excellent small cars vying for your attention. Still, we continue to recommend the Civic due to its ergonomic interior layout, wide range of models and high resale value. For small-car shoppers in search of a solid used vehicle, the Honda Civic is certainly a smart choice, as its long production run and many variants make it easy to find what you want. Here you can find owners manuals and technical information about new Honda Civic car.